At present, fuel duty – the tax on petrol and diesel – is charged at a rate of 57.95p for every litre UK motorists pump into their cars. It alone is expected to raise £28.2billion for the Treasury in 2018-19. However, this revenue stream looks set to shrink significantly by 2040 when UK ministers plans to ban the sale of vehicles with combustion engines in a bid to persuade drivers to switch to electric cars. The decision is likely to rile most drivers, who have suffered years of fuel taxation accounting for almost 50 per cent of their total cost at the pumps. 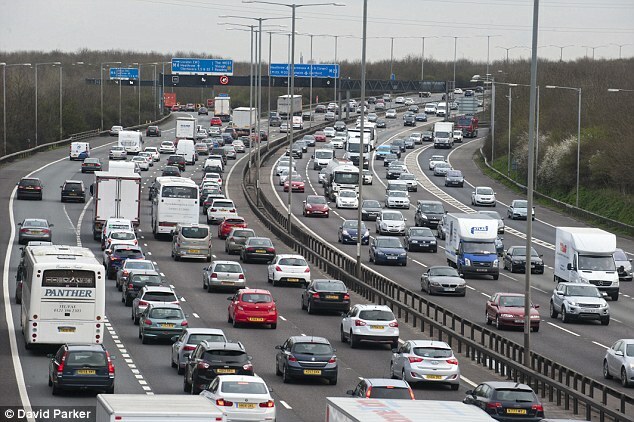 The ruling Labour government in 2005 had suggested a road pricing policy where drivers would be forced to pay £1.34 per mile to use motorways at peak times. However, the national road pricing plans were scrapped two years later following a public outcry and a petition against the proposal signed by 1.8million Britons. It leaves ministers in a difficult position, especially with the demand for vehicle pollution outputs to be significantly reduced. Last year, AA president Edmund King said any decision to reintroduce a road pricing scheme would be ‘political suicide’. Instead, he suggests an alternative strategy called ‘Road Miles’ – a scheme he and his wife – economist Deidre King – conjured as a more driver-friendly taxation. A road toll should be introduced to plug lost revenue from fuel duty, study says | This is Money.